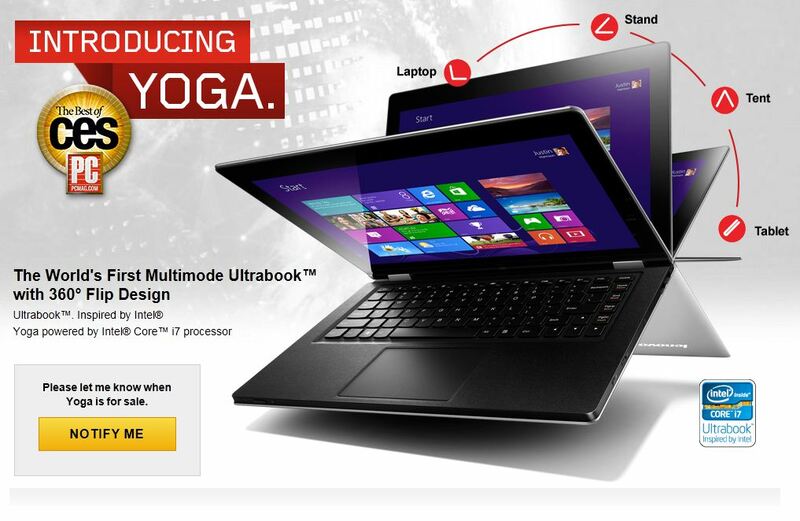 Lenovo’s popular upcoming tablet/ laptop hybrid, the Yoga 13 has finally gotten its due product page on the Lenovo website. 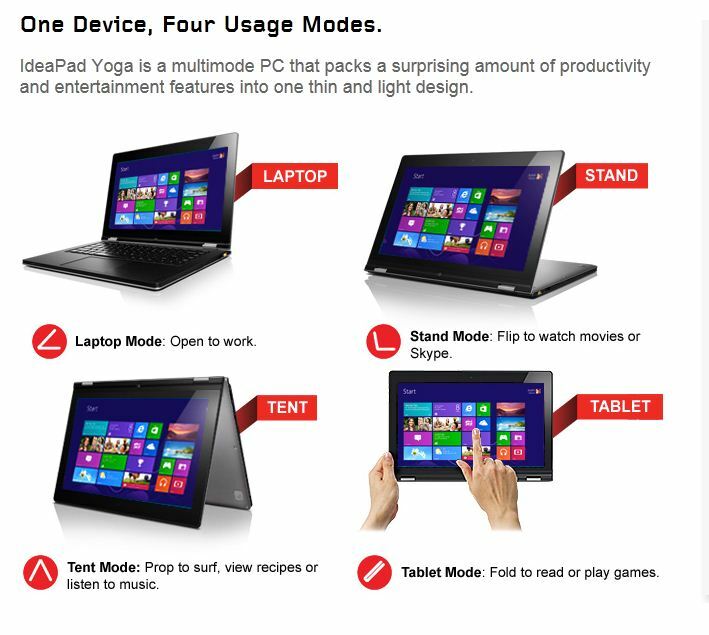 Any of you thinking about getting a Yoga 13 over the MS Surface this fall? Written by: Hyde13 on September 11, 2012. Sweet baby Jesus, that is one gorgeous piece of kit; ruined by the damn hipsters.